One of the most important aspects of operating and developing shopping centers across the country is the merchandising mix — finding the right balance of merchant category, size, and national vs. regional brands — that's specifically tailored to each community. Regency Centers is an industry leader in striking that delicate merchandising mix balance that serves the community. We leverage independent retailers to ensure our properties stay relevant in today’s ever-changing retail landscape. First and foremost, we look at potential traffic, particularly during the morning hours. The reason we are interested in morning traffic is because those shoppers tend to stay on site afterward for errands, sending additional traffic to grocers and other merchants throughout center. These “destination” retailers tend to be something consumers are willing to seek out in a niche market. An example of this is in fitness, where we see shoppers come to the center for a morning workout, then stay on the property to run an errand or two. Another example — cool breakfast concepts such as First Watch (once a small, independent retailer itself) or Nudy’s Café, which drive crowds willing to wait for a table and hang out at the center. Of course, unique retailers with distinctive offerings also tend to create longer dwell times in-store and on-site. This is a phenomenal benefit for the entire property, and a key indicator of the independent's success. We have seen success with high-end and furniture consignment shops bringing in retail-driven consumers to our centers. Although buzzworthy and sure to generate headlines, we usually won’t sign “first to market” retailers like other developers might. Bringing in a “first to market” comes with its benefits, but there is a mitigation or risk that isn’t always worth it. Instead, we prefer proven concepts that we know will stick around and are a value-add to the center and the surrounding community. Retailers with two or three established locations in a market also bring an established proof of concept and strong brand with them. Ultimately, we look for concepts with strong entrepreneurs. 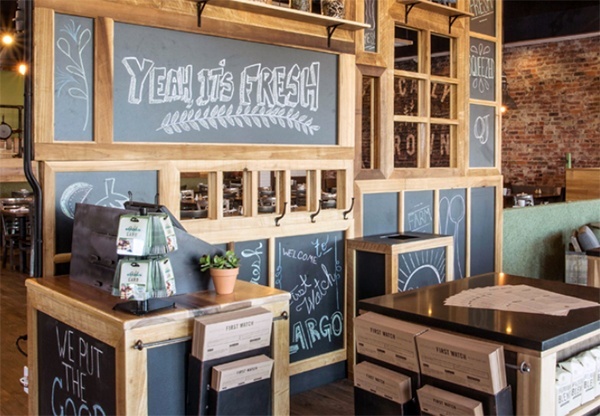 Honeygrow, a local Philadelphia concept that began in 2012, is a great example. They’re a cool and growing restaurant concept gathering a lot of press, serving farm-to-fork stir-fry and salads. The concept is a delicious success, driven by outstanding entrepreneur Justin Rosenberg. He eats, sleeps, and drinks this business. Rosenberg is extremely passionate, and that’s a critical component to Honeygrow's success. Good concepts emerge all the time, but great entrepreneurs who can create a meaningful culture and infuse that with the product have the best staying power no matter the concept. We want our independent retailers to fit the communities they serve. This is a Regency bedrock principle — to create properties with best-in-class retailers representative of the communities we serve. We call it Fresh Look®. Our retailers are hand-selected not only for what they can bring to our shopping centers, but for what our centers can bring to their business. John Hricko and David Sherin are located in Regency's Philadelphia office and have properties located in Delaware, Maryland, Massachusetts, New Jersey and Pennsylvania.